(Front R-L) Jordan's King Abdullah II, Saudi Arabia's King Salman, U.S. President Donald Trump, Abu Dhabi Crown Prince Sheikh Mohammed bin Zayed al-Nahyan and Qatar's Emir Sheikh Tamim Bin Hamad Al-Thani pose for a photo (Jonathan Ernst/Reuters). This article was originally published here in Politico on Wednesday, July 5, 2017. When President Donald Trump wanted to jump-start Middle East peace talks, he did something utterly unconventional: He sent his son-in-law, Jared Kushner, to bang Israeli and Palestinian heads together. Kushner—predictably, given that he has no relevant experience—quickly failed, setting off a round of snickering among longtime Mideast hands. It was embarrassing for the White House. But in a larger sense, Trump’s decision to dive into the peace process was reassuring: The man who ran the most unconventional presidential campaign, promising to disrupt the establishment and speak truth to power, had sent his most trusted representative halfway around the world on the most conventional of foreign policy missions—a mission impossible that all American presidents undertake at one point or another. There are plenty of reasons to be concerned about this administration’s unorthodox approach to foreign policy. Trump’s record of unforced errors so far is pretty grim, ranging from his campaign’s alleged ties to the Kremlin, to the White House’s invitation to Philippine strongman and proud murderer Rodrigo Duterte, to the president’s surly approach to Washington’s NATO allies. 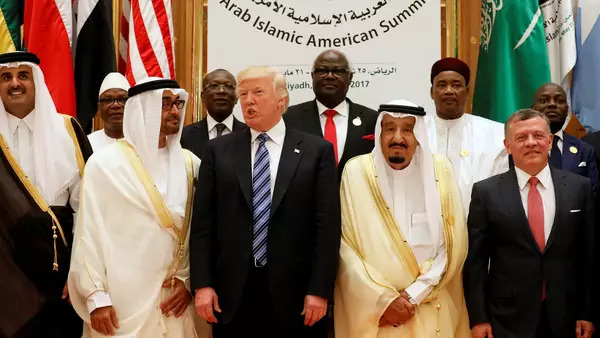 And Trump’s tweets in early June all but taking credit for several Arab countries’ decision to cut ties with Qatar threatened to undermine his own efforts to build an anti-extremism and anti-Iran coalition of Muslim and Arab countries. But setting aside the Qatar fiasco, the truth is that Trump’s Middle East policy is not universally bad. In fact, in many ways, it reflects a sound understanding of what the United States can achieve in the region and, importantly, what it cannot.